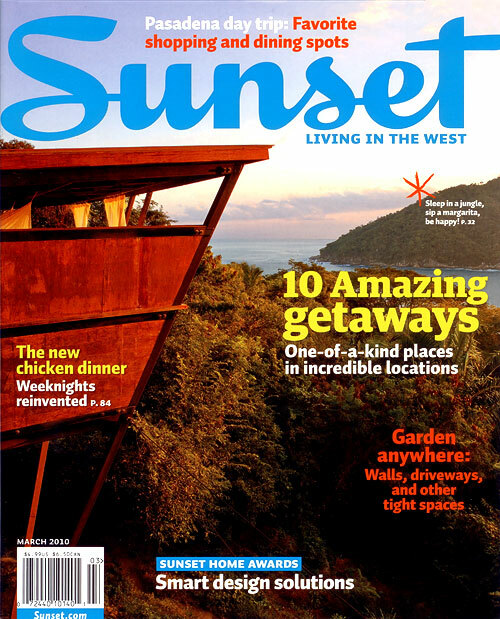 Well, Mini the kitty obstructing our work was featured in Sunset's blog last month. This month some of Heather's (unobstructed) work for her own gardens has made it not just into their blog, but into the print magazine as well. 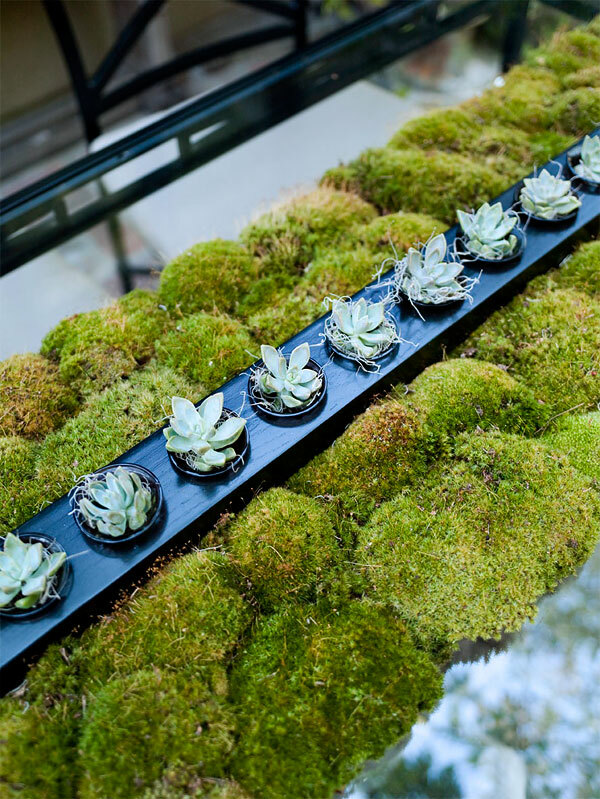 The March issue has got a great "how-to" article on making your own table runner out of moss and succulents, as pictured below. 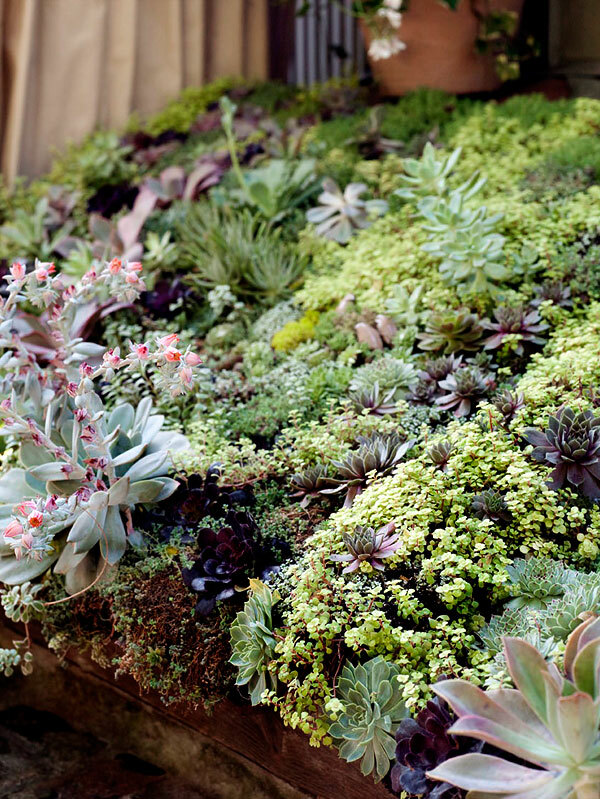 Also featured in their Fresh Dirt blog is a similar "how-to" on Heather's roof garden (pictured below), inspired by the naturally occurring succulents one sees on rooftops all over the Mediterranean. Check it out! Your flair with succulents is fabulous. After seeing the Sunset article I checked your terrific website and enjoyed looking at the diversity of your lovely landscape work! The Sunset photo also pictured several black metal arched trellis' in the background. I am interested in finding a similar wide arched simple metal/black trellis and have no luck except for expensive fabrications. Do you have a source that you could share? I live in Northern California.